1.4 Are fava beans high in calories? 1.6 What vitamins do fava beans contain? 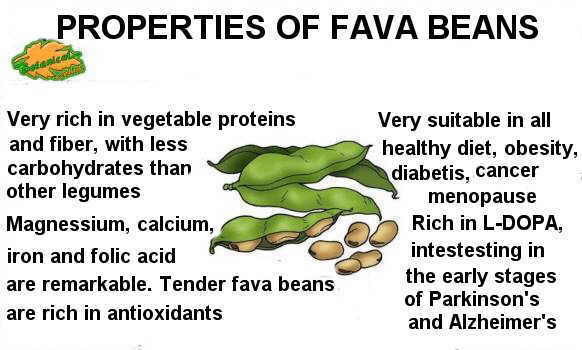 1.7 Dietary benefits of fava beans: Who should eat fava beans? 1.8 Are fava beans good for children? Fava beans or broad beens are included in the edible legumes group, which also includes other plants such as beans, peas, lentils or chickpeas. 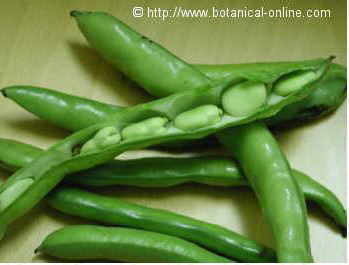 There are different types of fava beans, with different size and color depending on variety. Between April and June you can find tender beans, which are the sweetest. Off season, they are consumed dry, like other legumes, and they are very tasty. Fava beans have constituted a basic and very nutritious food in the diet of humble people as well as animals for centuries. There is a Spanish proverb that says: ” En todos los sitios cuecen habas”, literally translated as “everywhere beans are baked,” that will have the equivalent in the English proverb “it’s the same the whole world over”. Fava beans are a very suitable food in all healthy diets, especially for vegetarians who eat no meat, because they provide a large amount of vegetable proteins. A serving of cooked beans (about 170g.) provides 13 g. protein, the same amount of protein found in 2 eggs, 3 cups of milk or 50 grams of chicken. In addition to protein, beans are a good source of carbohydrates, fiber, B vitamins, and high in minerals like magnesium, phosphorus, potassium, calcium, iron and zinc. The high protein content of fava beans makes them a very valuable food for vegetarians, who are advised to consume vegetables daily. This is because they are one of the vegetables with the highest amounts of proteins. For example, a dish of cooked beans (13 g. Of protein per 170g) provides much protein than three courses of boiled rice (4 g. Of protein per 200g). It should be noted that plant proteins are of lower quality than animal protein. This means that the beans are deficient in the amino acids methionine and cysteine. 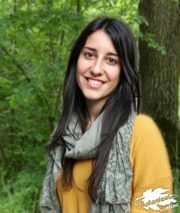 Therefore, the combination of plant proteins to provide complete proteins is necessary. 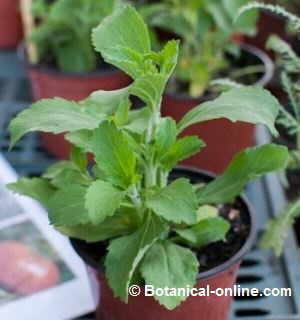 A good combination is to mix fava beans with cereals or seeds, rich in the missing amino acids. Therefore, to get complete proteins, it is recommended to combine beans beans with food such as rice, noodles, millet or just accompanying the meal with bread. 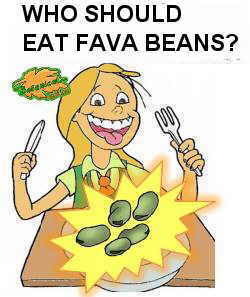 Are fava beans high in calories? 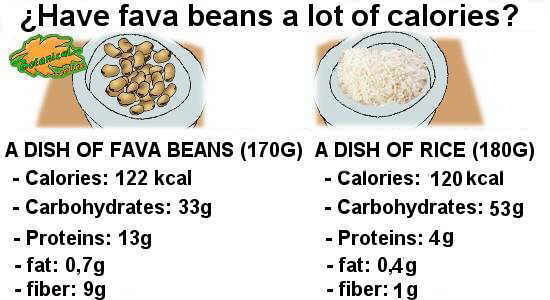 It is said that fava beans are high in calories but this is not true, because, when compared with other foods such as rice or potatoes, the number of calories is equal or even lower. 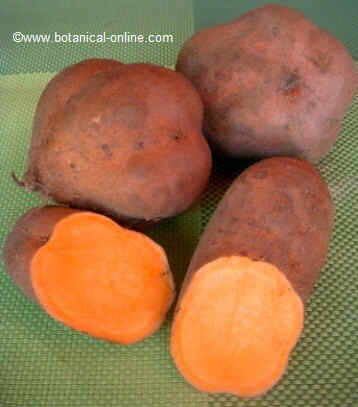 They are also more nutritious, in their amount of proteins, vitamins and minerals. Fava beans provide high quality proteins since they are rich in complex carbohydrates and fiber. This means that the energy they offer is gradually absorbed, providing satiety and fullness for longer, without causing high insulin spikes, differently to other foods high in simple sugars and low in fiber. For this reason, they are not only appropriate for weight loss diets, but are also recommended for people with obesity or diabetes. Fava beans are rich in minerals. Like all legumes, beans are foods with a high content of potassium, which is one of the most abundant minerals in seeds. A dish of beans (170 gr.) gives us a lot of potassium (456 mg.), phosphorus (212 mg.), enough calcium (60 mg, half 100ml milk) and a good supply of magnesium (73 mg). They also have a significant amount of iron: a dish of beans provides 3 mg of iron, an important amount of iron compared to iron found in a bowl of rice or a bowl of pasta (both options contain less than 1 mg iron / 100 g.). Still, the iron content of beans is surpassed by that of other legumes such as lentils and chickpeas, which would be more advisable in case of anemia. To increase the absorption of vegetable iron, it is recommended to accompany fava beans with food rich in vitamin C because this vitamin helps to better assimilate the vegetable iron and make heme iron, that is, the form of iron that the body uses to manufacture its red blood cells. Another option is to eat fava bean sprouts, after a long soak (at least 48 hours in dry beans, and at least 1 hour in the tender beans) (germination and soaking reduce the content of antinutrients, substances that inhibit the absorption of iron). What vitamins do fava beans contain? Vitamins that provide the beans are mainly B vitamins, such as niacin or thiamine which in the body play mainly an energetic role, as part of the metabolism of food. It is remarkable its content in folate or folic acid whose requirements are recommended to increase in case of heart disease, hypertension and pregnancy. A dish of beans contains 177 mcg. folate (vitamin B9), almost half the recommended daily requirements for an adult of this vitamin. Broad beans are powerful antioxidants such as chlorophyll and carotenoids, plant pigments with purifying and vitamin properties (the body converts beta carotene into vitamin A, vitamin for healthy skin and eyes). Dietary benefits of fava beans: Who should eat fava beans? Are fava beans good for babies? Fava beans are NOT suitable for babies. 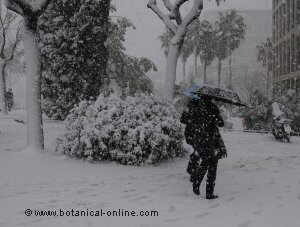 They should not eat vegetables until 13 months of age, because, if introduced earlier, you increase the risk of allergy. Are fava beans good for children? Fava beans are ideal for feeding children, so they can have enough energy to play and to study in school. Fava beans have a very thick skin and therefore they are legumes that have to be introduced later in children. In order not to be too much flatulent, they can be eaten mixed with potatoes, carrots or rice, thus, also not so many are consumed. To be better digested, their skins should be removed, although it is a bit more laborious process. In addition, to avoid choking, they should be mashed into the pure or crush them. The most suitable fava beans for children are called “baby fava beans”. they are the most tender and the easiest to chew. In Mediterranean countries, there are intolerant people to fava beans (favism), so in children, before usual compsumption, it is recommended to watch how this food is accepted in small quantities. Beans are suitable for people with diabetes and obesity and for menopausal women, who not only benefit them because of their nutritional value, but also as a result of its low carbohydrate content and high amount of fiber. These will help to control blood sugar after eating, to stave off hunger between meals, and remove fat and cholesterol from the body. Beans are very rich vegetables in fiber, mainly of insoluble type that has the property of accelerating intestinal transit. 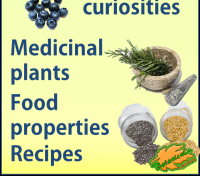 Through food, in addition to nutrients, our body also eats a lot of toxins, from the whole process of production and conservation of food (see food poisons). 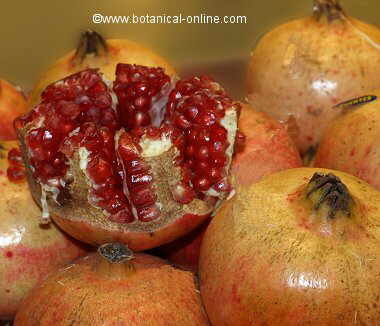 It is very important to remove toxins that are present in the intestine before being absorbed as soon as possible. 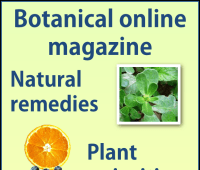 This is a good way to prevent the occurrence of many diseases. The high fiber content of fava beans provides its laxative effect, helping speed bowel transit which avoids toxic products to remain inside and also prevents its absorption. Those who do a diet rich in fiber are less likely to suffer constipation, hemorrhoids, and certain types of cancer, including colon cancer, breast cancer and lung cancer. Broad beans are recommended because they have a higher content of chlorophyll, with antioxidant properties, making it an ideal food in spring cleansing diets. Fava beans are rich in the amino acid L-DOPA (levodopa), precursor of the neurotransmitter dopamine, involved in motor skills. Levodopa rich foods, such as fava beans flour, increase the amount of this nutrient in the blood and may help improve some symptoms of Parkinson’s in the early stages. 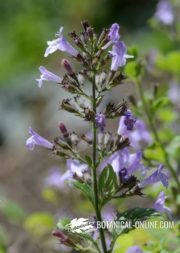 It could also be used in diets for Alzheimer’s. More information on fava beans.